We are a Southern Baptist congregation in Corpus Christi, Texas giving ourselves continually to prayer and to the ministry of the Word. We welcome you to join us this Lord's day at 11am to worship our God together. We meet after service on the 1st Sunday of the month to eat and fellowship together. Consider yourself personally invited! 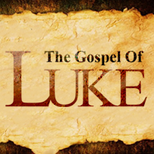 We are currently preaching through the book of Luke on Sunday mornings. Come and listen! Know with certainty of those things that you have been instructed in. C.H. Spurgeon said, "Prayer is the forehorse of ministry." Join us for a short meditation in the word and prayer on Wednesdays at 6pm. Genesis is another word for beginnings. We are going back to where it all started. Come and join us as we study the book of Genesis chapter by chapter.